Blind Alfred Reed: Appalachian Visionary is finding its way into record stores nearly 90 years after Reed was first recorded. Born blind on June 15, 1880, in Floyd County, Virginia, Alfred Reed grew up on a West Virginia farm. In the 1920s, when radio became available in his area, Alfred listened to and enjoyed performances by several of the era’s popular singers. Alfred would purchase songbooks and hymnbooks, and his wife Nettie would read the lyrics to him. In celebration of our 20th anniversary of the Mountain Heritage Festival, this year, more bands will grace the stage. Four local bands and the Junior Appalachian Musicians will take the stage on September 20 beginning at 10am. Loose Strings, an all-female group, from Galax, VA is known for their tight vocal harmonies and sweet rhythms. Clinton, TN -- What do bluegrass music, antiques and all terrain vehicles have in common? They will be featured at three premier events happening in Anderson County, Tennessee this October. The 34th annual Tennessee Fall Homecoming, October 11-13, 2013 at the Museum of Appalachia, will feature more than 400 bluegrass and traditional musicians, singers, cloggers, and buck dancers. The East Tennessee River Valley is steeped in centuries of tradition and Appalachian culture, and art forms have been developed and passed down for generations while staying alive through families in gospel and bluegrass music, arts and crafts, festivals, harvests, and heritage. The East Tennessee River Valley Geotourism MapGuide, a partnership in sustainable travel with National Geographic celebrates the arts, culture, lifestyle, and overall Appalachian way of life through the promotion of events throughout the region. The Garden & Gun has an excellent and lengthy article on Ralph Stanley by Dean King in the February/March 2013 edition. Garden & Gun is a national award-winning magazine that covers the Southern lifestyle including the arts/culture, food/drink, sporting life, travel and adventure and style/design. We cover bluegrass musicians on a regular basis and this is one of those articles and well worth reading. 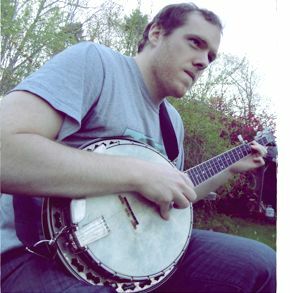 Harpswell, ME -- Composer, multi-instrumentalist and modern bluegrass artist Conor Mulroy announces more shows for his winter schedule in the southern and midwestern regions. He continues to take music to the masses. He’s touring in support of his fourth independent release Foxfire. Foxfire is currently the #1 ranking college radio album at WERU - FM in East Orland, Maine.